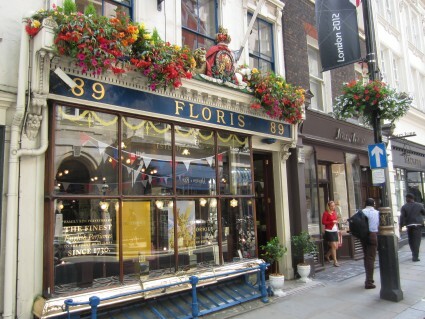 Unsurprisingly, the first thing that hits me when I enter Floris is the smell. It’s as if ribbons of fragrance are being twirled around my head – a delicate aromatic dance of floral and citrus tones, offset by sharper notes of spices and wood. For a few seconds I pause, sniffing the air like a basset hound. It’s a fitting introduction to the second-oldest perfumer in the world. This entry was posted in UK by Rob McFarland. Bookmark the permalink.